At this year’s IFA, Elgato have announced three new products and features that will make sure you’re always entertained. 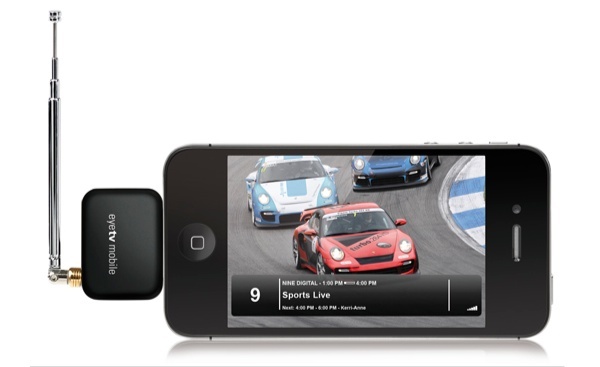 For those of you who like mobile TV on the go but without internet charges these might just be what you’re looking for, The EyeTV Mobile & EyeTV Micro. First the iPhone got it’s own tv tuner and now the iPad is getting the love as well with this dandy little box from Elgato. The EyeTV Mobile hooks up to the dock connector and grabs the TV signal from it’s ever so bendy antenna. It’s freeview so you are reliant with the signal in your area (see our Elgato Tizi review for issues with this) and once again you can’t hook it up to a roof top aerial.